Are you over the age of 50 and thinking about divorcing? Overall, divorce rates in Australia and other developed nations seems to be stabilising, if not decreasing. 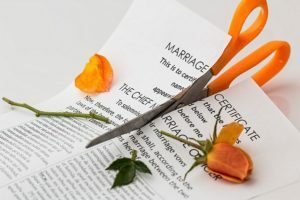 There’s just one exception – the rates of ‘grey’ divorce (or divorce rate among those aged over 50) has doubled over the last ten years. The reasons for this are varied – people are living longer, women are more financially independent, and divorce is no longer such a social stigma. But there are some unique issues facing those over 50 who suddenly find themselves single. The financial fallout is usually the biggest problem, as household income drops suddenly. Living alone becomes more expensive than as a couple. In addition, there is less time to weather share market fluctuations, build up superannuation and recoup losses. 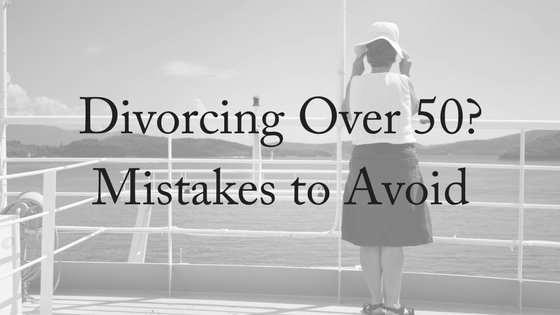 Below are some mistakes to avoid if you are over 50 and separated or divorcing. If You’re Divorcing, Are You Holding Onto The Family Home? Statistics gathered by a survey within America have stated that 1 in four people who are divorcing are over 50. This is a dramatic increase over the past twenty years, as it used to be 1 in 10 couples who divorced. Especially if you are the sole occupant, your family home may be a money pit. Can you afford to live there alone? 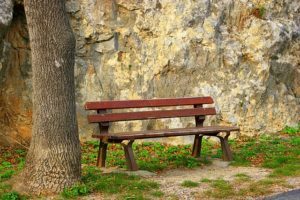 When you divorce, the financial fall out can be significant. Divorcing after 50 can significantly alter your retirement plans, and holding onto the house may no longer be your best financial decision. It is often recommended that instead of keeping the house, it is best to sell and split the sale price. This will allow for an opportunity to pay off debts and focus on saving with your decreased income as a single person. Get rid of any jointly-held debt or bills, including insurance and vehicle registration. When you sign a loan document or contract, most will hold you ‘jointly and severally’ liable for the debt. This means that even if a debt or bill is in both names, the company can also pursue you individually for the amount owed. This can have a devastating impact on your credit rating and your finances. It is also best to seek advice on what tax is involved in your marriage. If you are still sharing assets, who will pay the mortgage? It is best to seek advice on shared tax and discuss with a financial adviser how to begin splitting your assets. It is also important to never forget about health insurance. Most couples have a shared policy for themselves and what ever family members remain at home. However, if you divorce, you may no longer wish to remain a part of the shared custody. It is best you contact your health insurance and discuss your options around your health care. If you have been the main income earner throughout the marriage, you may be surprised to learn that the stay-at-home parent is entitled to part of your super. If you have been a stay-at-home parent for a chunk of time during the marriage, the effects can be dramatic. Your superannuation is likely to be low and will not see you through your retirement years. This means you might have to think hard about your retirement strategy. In order to confirm the circumstances surrounding your superannuation, you should contact your super fund and discuss how much you are entitled to through your divorce. After this occurs and separate super funds are created, you should discuss your retirement plan with a financial adviser to ensure you will have the appropriate funds to last through your retirement years. It’s a nice thing to do, but it probably isn’t affordable. Nobody wants to live in poverty during their old age, and divorce at a later stage of life can increase this risk. Before you consider financially supporting your children, you should ensure your finances are in order. Speaking to specialists can assist you in making the right decisions and ensuring the settlement is fair and equitable. However, when you divorce, it is important to ensure you do not forget about your children. Emotionally supporting them may be all they need and allows you time to keep your finances in check. At an older age, couples do not necessarily have to worry about a custody battle, but that does not mean children are not an important part in your relationship. It is incredibly important to ensure that both you and your ex-partners wills are in order so when you pass away, your children receive the assets and it is not all given to your new partner or your ex’s new partner. If you are in this situation and need advice, contact us today for a free 10-minute consultation. Divorce Lawyers Brisbane can provide advice on divorcing and estate planning for the future of you and your children.